Why Do People Live in Botanical Place? Botanical Place is a condominium community located about 3.5 miles south of Olde Naples, off route 41. (also known as the Tamiami Trail). Botanical Place is a newer complex having been built in 2006. The buildings and grounds are very attractive and tropical in nature. There are 218 units in all. Four story buildings all have an elevator, and most units come with either a carport, a one car garage, and a few offering a two car garage. All come with a screened in Lanai so you can enjoy tropical breezes and fresh air. There are a few different floor plans offered here. One-level condominiums range in size from 900-1200 square feet and come with either 2 bedrooms and 2 bathrooms, or 3 bedrooms and 2 bathrooms. If you are looking for a little more living space, 2 story townhouses are available offering between 1800 square feet to almost 2000 square feet in the larger models. In addition to garages, most units also come with a secure storage space. There is a beautiful Clubhouse where meetings and activities are held. 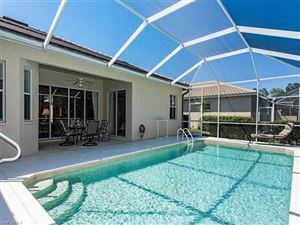 A fitness room, full kitchen, large screened in Lanai that overlooks an elegant pool and heated spa. What's the Botanical Place Neighborhood Like? Botanical Place is within walking distance to the world renown Naples Botanical Gardens and should be on everyone's short list of things to see. About a mile and a half away is the private Hamilton Harbor Yacht Club, as well as the public boat launch. A nice little park on Naples Bay where you can fish or just watch the boats coming and going. There are a number of nearby restaurants that you can walk to as well. You can walk or bike to the community park to play tennis, pickle ball or take in a softball game. Botanical Place is located in an area with well established communities like Windstar but is also near exciting newer developments like The Isles of Collier Preserve. There are few areas left to develop that are this close to Olde Naples. How Do I Find a Botanical Place Condominium in My Price Range? Just click the link below to be taken to the page containing Botanical Place condominiums for sale.